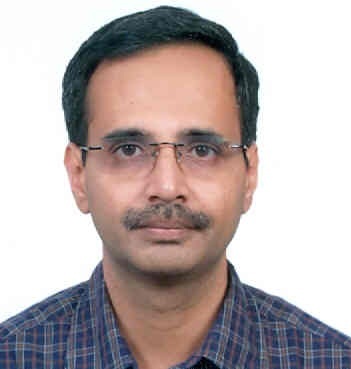 Balachandran R is an alumnus of IIM Calcutta (1987-89) with extensive experience in corporate banking, investment banking and product management. Long before the Great Recession that struck the United States in the aftermath of the financial crisis, Japan was in the throes of a multi decade era of low growth and deflation following a boom and bust phase. Years of zero or negative interest rates failed to move the needle on inflation. Emerging market denizens perennially worried about high inflation eating into savings and affecting purchasing power, may wonder what the fuss is all about. Noted economist Paul Krugman explains in a New York Times post that deflation causes people to spend and borrow less thereby keeping the economy in a depressed, deflationary trap, raises real debt levels and leads to fall in wages though he also highlights downward nominal wage rigidity. Therefore goal of monetary policy is not price reduction (negative inflation) but price stability, in other words low and stable inflation. Detractors of Keynesian economics may of course, disagree on the demerits of deflation. The United States too has been struggling to reach its inflation target of 2% ever since the 2008 crisis. Bringing down the Federal funds target rate to 0% and asset purchases through the New York Fed resulting in a balance sheet of $4.5 trillion dollars, did not help in moving up inflation. The European Union too has been struggling with poor growth and again low inflation. Apart from the ripple effects of the financial crisis originating in the US, the EU saw one debt crisis after another spanning across Portugal, Italy, Ireland, Greece and Spain. The European Central Bank brought down interest rates below zero and resorted to massive asset purchases to revive the economy. Until recently, the effect of the central bank intervention globally, appeared to have had the primary effect of inflating asset prices, with stock indices touching all time or multi year highs, be it the Dow Jones, Nikkei, Hang Seng or other market indices. But inflation and growth remained below expectations. Starting with the US, the news from all the major economies in the world has turned positive since the middle of 2016. The January 2018 statement issued by the Federal Open Market Committee which decides monetary policy in the US, cites continued strength in the labor market, economic activity rising at a solid rate and low unemployment rate. Inflation is expected to move up and stabilize around the Committee’s 2% objective in the medium term. Earlier in June 2017, the FOMC laid out a calendar for a gradual winding down of the Fed’s massive holding of $4.5 trillion of Treasury securities, agency debt and mortgage backed securities built up during the quantitative easing phase, up five times from its pre-crisis balance sheet level of $900 billion. But the recent tax cuts approved by the US Congress is in effect a $1.5 trillion dollar stimulus which can exacerbate inflation. The latest job growth numbers for February 2018 was beyond expectations. The market expects that the FOMC could go beyond the projected three rate increases this year. 10 year Treasury yields have surged to 2.9%. Yields reaching 3% are considered a line in the sand for financial markets. At Japan, while the short term policy interest rate continues to be in the negative, the Governor of the Bank of Japan, has started taking of an end to monetary stimulus from next year, something which was practically heresy till now. The central bank now expects inflation to reach its 2% target in fiscal 2019. Unemployment rate has fallen to multi decade lows. The central bank has an upbeat view on the economy now. The European Central Bank joined the other major central banks in dropping its easing bias. In a surprise tweaking of language in its March 2018 monetary policy statement, which is closely watched by the financial markets, the ECB dropped its previous commentary that “it stands ready to increase the asset purchase program if the outlook becomes less favorable or if financial conditions become consistent with further progress towards a sustained adjustment in the path of inflation”. The move was unexpected given the political uncertainties stemming from the rise of the anti-European Union parties in the Italian elections, trade wars stoked by the US, and volatility in stock and bond markets. Despite these headwinds, the central bank has a more positive view of growth prospects for the euro zone. The quantitative easing program stands to tentatively end by September this year. The world’s second largest economy China has different set of challenges stemming from high levels of debt and fiscal deficit. While no major changes in monetary policy is expected in 2018, the government projects moderate growth in the economy and has vowed to cut fiscal deficits, while keeping monetary policy neutral. Is India’s Central bank behind the curve? India faced below target inflation, at 1.5%, during a very small window during the year 2017.The Reserve Bank of India faced flak for not reducing rates in line with falling inflation and failing to support growth. Since then, the surge in oil prices and the increase in consumer price index based inflation consecutively over six months have silenced the critics of the RBI. The vindication of RBI/Monetary Policy Committee’s stance in holding on to rates would have provided an opportunity for the central bank to crow about it, in its latest monetary policy statement; however the tone of the statement was measured. The recent relentless rise in the 10 year benchmark security’s yield to 7.7% (the previous benchmark is close to 8%), has caught most market players by surprise. The yield was barely 6.5% six months back. With the policy rate i.e. repo rate unchanged during this period, the differential between policy rate and benchmark yields has widened to 1.7%. Some would interpret this as a signal that policy rate increases are just round the corner and/or behind the curve. Oil prices have moved by more than 30% in six months adding to inflationary pressures and current account deficit. Fiscal deficit slippage, increase in Minimum Support Price for crops, expected HRA increases by state governments, normalization of monetary policy by advanced economies have all clouded the outlook for inflation in India. The banking frauds that have come to light recently have added further uncertainty to the financial markets. The only saving grace for an import dependent nation, so far has been the Rupee, which is still way below the levels reached during the 2013 taper tantrum days. A stronger currency makes imports less expensive in local currency terms. While central banks in advanced economies have been struggling to increase inflation, India after a brief pause, is back to fighting the inflation monster. The erstwhile Governor of RBI Raghuram Rajan called for greater monetary policy coordination from central banks of major economies, especially in managing spillovers on emerging economies while winding down the long phase of monetary expansion, drawing from the lessons of the 2013 taper tantrum episode under Ben Bernanke when emerging market currencies suddenly plummeted. While we have not witnessed central banks getting into a huddle prior to announcing monetary policy (which of course is the prerogative of the monetary policy committees of the respective regions), their almost uniform action over the last few months towards ending the decade long phase of loose monetary policy, is a sign of return of inflation and growth in an inter connected global economy and the near identical mindset of the central bankers. Perusing the monetary policy statements of the respective monetary policy committees across advanced and emerging markets, reveals almost indistinguishable language; call it “central bank speak” !